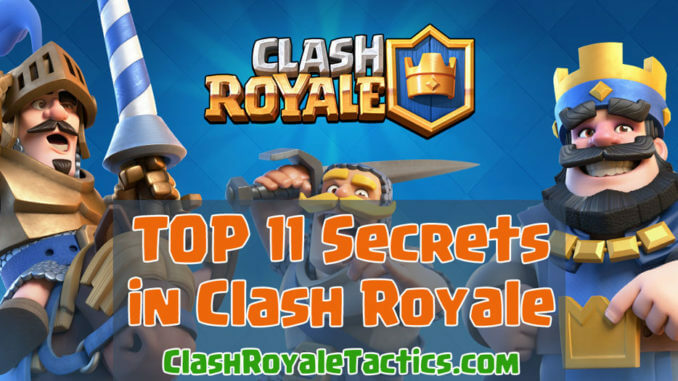 Here are Top 11 Little Known Tips, Tricks and Secrets in the Clash Royale community. Knowing and using these tips you will improve your gameplay, and win rate – guaranteed! These will range from strategy to cool tidbits that could prove useful in game. These tips and tricks have won me countless games and will certainly help improve your gameplay too. Knowing these secrets, you can improve your win percentage by %20 and reach legendary arena in no time. There’s always new stuff to learn in Clash Royale. Surprisingly, many people still don’t know about the battle victory reward. 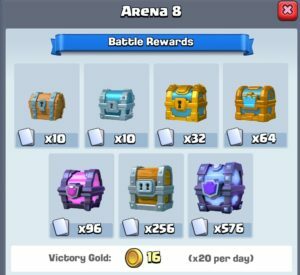 You get x amount of gold depending on which arena you are in for every battle you win, up to twenty battles in total. If you manage to win twenty times, the extra gold can certainly help you progress and level up. Many people do not know how to do this. To view the stats of a card in your deck, simply hold down on the card while it is in rotation. It will showcase the stats of the card. This proves especially useful if you don’t know how much damage spells do and need to finish off a tower. 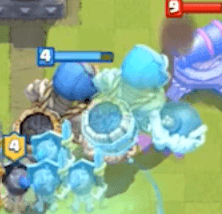 If your giant skeleton runs into a massive defense, simply clone it. The 1 hp actually benefits you in this situation, allowing the cloned skeleton to die quickly and release its devastating bomb to wipe out the pesky barbarians or whatever else may be troubling you. This is more of an easter egg than anything else. 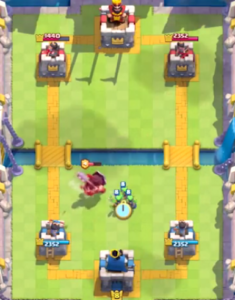 Supercell has implemented many different trainers into the game, and some of these are easter eggs. 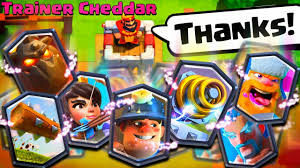 Trainer Cheddar has an abnormal amount of elixir at all times, capable of playing troops way faster than he should be able to, thus the name Trainer Cheddar (Cheater). Trainer Jason uses the Jason deck, popularized by Jason who won the first ever Clash Royale tournament. Trainer Max has maxed out commons and rares and high level legendaries. These small features are what make Supercell such a great company and are some of the reasons so many people play Clash Royale. 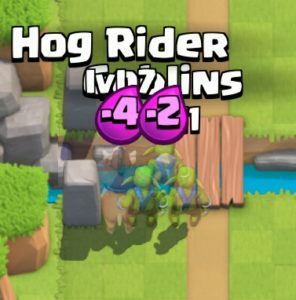 The goblins push the hog to the left. Many beginning players still don’t grasp the concept of the chest cycle, believing it to be random luck. This, however, is not the case as demonstrated by digging through the code of the game. Read more in our guides on the chest cycle to learn fully how it works. It will help you know when to expect your next special chest. Any of you who check before updates for the sneak peeks? Be sure to check on Reddit and the forums for exclusive sneak peeks. Many people are surprised when these features are released because they do not check these sites. I recommend making them a daily read. 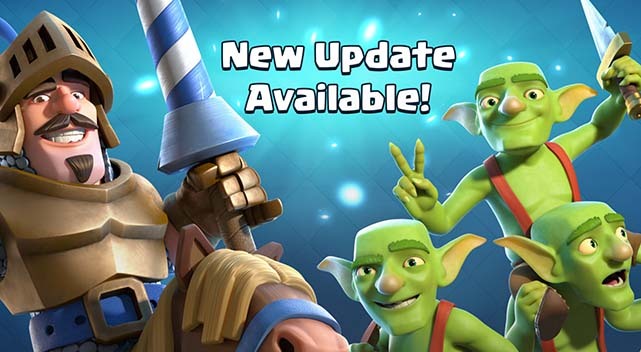 They provide great advice, and it’s a great place to reach out to Supercell directly. 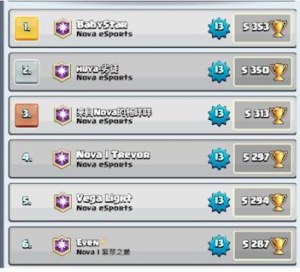 This is a very big problem in the higher arenas, especially with clans such as Nova who are notorious for doing this. Win-trading is when a member of your clan leaves the clan to intentionally lose to another member of the clan. They often have multiple accounts in the top 200 so they can do this efficiently. This is why most of the top 10 players are in the same clan. 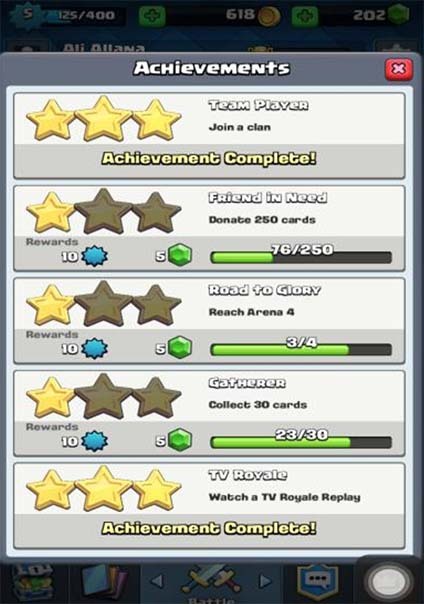 Supercell have tried to address this problem but are yet to find a good solution. This is a very useful tactic that can save you hundreds of damage on your tower. Any of your opponent’s troops can be kited whether it be with a troop of a defense. It is most beneficial when the troop is faced further away from your opponent’s, making their troop travel a further distance and thus take more damage. This can be done with all troops, but defense targeting troops are often better at it as you can make their troop chase yours back across the bridge, leaving it almost useless. Troops such as the prince and the guards have a range of 0.5 due to their spears. This is most noticeable when a valkyrie is attacking another one of your troops. The guards and the prince will actually outrange the valkyrie’s attack, allowing them to remain unscathed. This is very useful when coming up against a valkyrie, especially in the lower arenas. 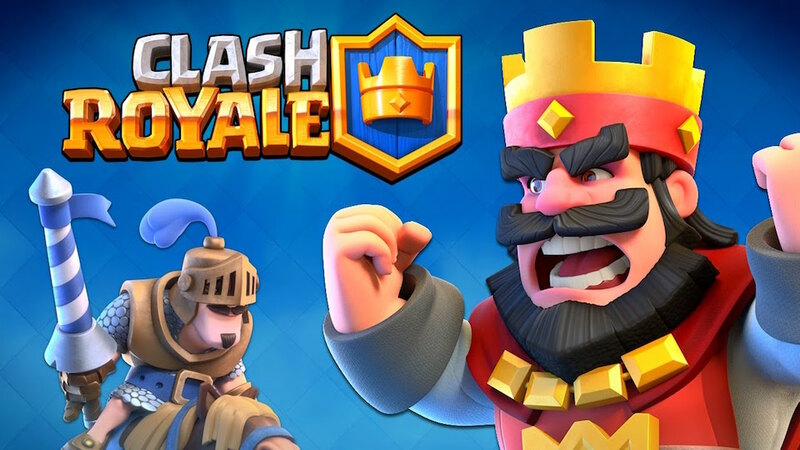 Many people struggle with getting gems in Clash Royale. While buying them is certainly an option, it is not a good one as gems are far too expensive. 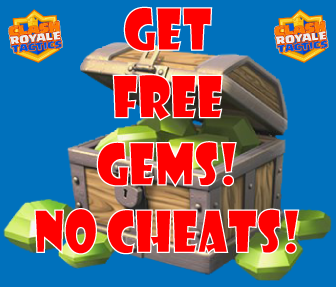 There is, however, a way to get free gems without cheating or hacking. It is simple, safe, and easy and it will help you level up your cards. This is 100 per cent reliable and is a great and fast way to get better at the game. You install FreeMyApps app, sign in with Facebook, and start earning points. To earn points you install and try Apps or Watch Videos or Try Offers. Another (most effective) way is to SHARE FreeMyApps with your friends. Each friend who signs up gives you 200 points! 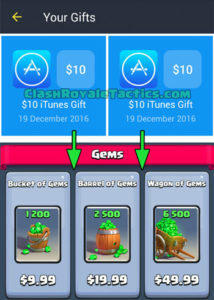 Use AppStore / PlayStore credit for Gems! Essentially 3000 points = $10 = 1200 Gems! Conclusion: These tips, if utilized correctly, will considerably help you in game and can even boost you up a whole arena. Because most players don’t know about them, you will have a great advantage if you do know them. Gems are the best way to progress, especially when they’re free. As always, hope you enjoyed and keep on clashing! And share these secrets with your friends. Cheers! I literally know all these. 99.99% of players do too. Thanks for nothing. The gem things are all lies. This guy obviously just put that there for something like sponsorship. What a dumb idiotic fool.